As a website designer, I work with a lot of files -- and a lot of file types. Nothing's worse than wasting time trying to fix a problem caused by an overseen missing file extension. 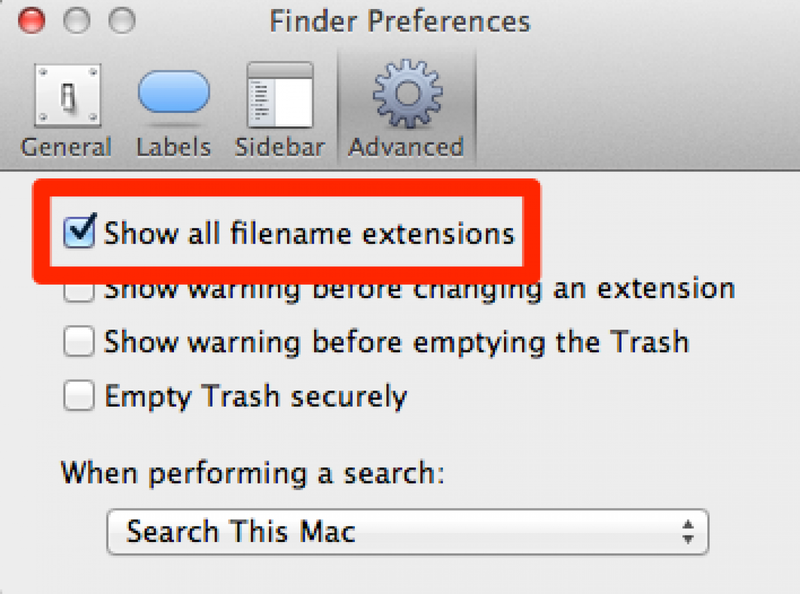 Select "Show all filename extensions"